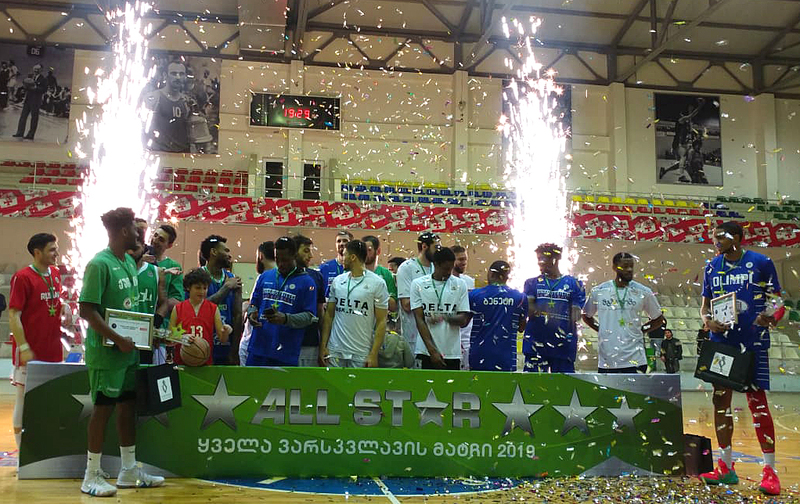 All Star match 2019 was hel in Kutaisi, which was traditionally full of effective episodes and interesting for spectators. The best players of the Superleague gathered in Kutaisi for the third time already. The teams were recruited with local and legionary players. Participants for All Star were chosen as a result of a survey on the Superleague web site, and the coaches filled the spare places. The team of local players were led by Kote Tughushi (Kutaisi) and Buba Berishvili (Mgzavrebi) and the team of legionaries – Irakli Khoshtaria (Dinamo) and Nikoloz Cherkezishvili (TSU-Hyundai). The match was traditionally spectacular, with minimum amount of fouls. The members of both teams tried to show a spectacular performance to the fans who came to Kutaisi Sports Palace. In the meeting, the defense was less usefull and accordingly, it ended with a high score 134:134. Yes, the match ended equally, which should be the basis for overtime, but the winner was not needed. 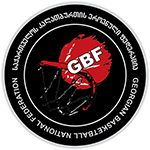 The friendship of Georgian and foreign players has won. Top scorer and the owner of the prize for the most valuable player was American Centre of Olimpi – Mark Ogden. He scored 30 points in 25 minutes. His teammate – Charles Bennett was also very effective with 21 points. Jordan Swopshire scored 18 points. Otar Pkhakadze and Akaki Dvalishvili led the local teams. Former scored 21 points, 5 rebounds and 4 assists and the latter had 20 points and 10 rebounds. Giorgi Barbaqadze collected 19 points. Participants of the three-pointers competition were shooting 5-5 balls from the 5 different points of the perimeter. Each participant had 1 minute to shoot 25 times. Each ball was rated at 1 point and the final shot from each point was 2 points. The first stage should have revealed 2 finalists. 6 best shooters of the current Superleague – Otar Pkhakadze (Delta), Jordan Swopshire (dynamo), Erekle Lortqipanidze (Rustavi), Malcolm Drumwright (Delta), Jonathan Lee (Kutaisi) and the winner of the previous three-pointers contest of All Star – Rezo Chachanidze (mgzavrebi). Rezo Chachanidze (19 points) and Jonathan Lee (21) went to the final. Jonathan Lee won the decisive fight with 23 points against Chachanidze’s 21 points and became the owner of the honorary award. Three of the participants – Mark Ogden, Charles Bennett (Olimpi) and James Milliken (TSU-Hyundai) were competing in a slam dunk contest. The jury members were Aleko Petriashvili – head of the Competition Department of Georgian Basketball Federation, FIBA’s Honored Arbitrator and National Instructor of referees in Georgian Basketball Federation – Dragan Neskovic, International level Referee – Roland Khomeriki and veteran basketball player, teammate of Mikheil Qorqia and Zurab Sakandelidze – Geno Cheishvili. All three players competed in the finals, which was held after the All Star match. Mark Ogden gaind the victory. He got the highest rating from the jury. An awarding ceremony was held after the match and the slam dunk contest. All participants of the event: players, coaches and doctors were awarded with special star-shaped medals by the head of the competition department of Baksetbal Federation – Aleko Petriashvili and Zviad Kotrikadze. The winner of the three-pointers contest – Jonathan Lee was awarded with a special prize and diploma by Zviad Kotrikadze and Mark Ogden – the winner of the Slam Dunk contest was awarded by Aleko Petriashvili. The best player of the match (MVP) – Mark Ogden was awarded with the relevant prizes by President of the Georgian Basketball National Federation – Paata Guraspauli. The MVP and the winners of the competitions were awarded with a variety of socks produced by Tiflistex, technical partner of the Super League and Georgian Basketball National Team. All Star match finished with fireworks.